New Delhi [India] Jan 4 (ANI): Andhra Pradesh Water Resources Minister Devineni Umamaheswar Rao has received the 'Central Board of Irrigation and Power Award' for better planning and construction of Polavaram Irrigation Project in the state at Lodhi Road, New Delhi. Karnal (Haryana) [India], Dec 23 (ANI): Temperature in Karnal district dropped to zero degrees on Sunday as the cold wave intensified across the northern part of India. New Delhi [India], Nov 2 (ANI): Delhi is once again inching towards the worst time of the year in terms of air pollution, as the region's air quality is getting increasingly toxic. New Delhi [India], Oct 21 (ANI): The overall Air Quality Index (AQI) of Delhi was recorded at 278 on Saturday night, which falls in the 'poor' category. 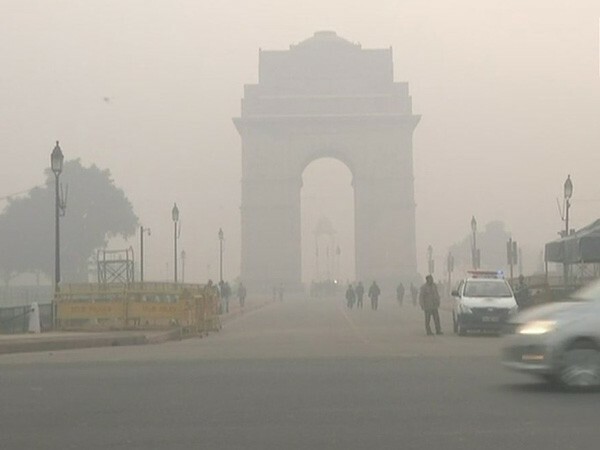 New Delhi/Ludhiana (Punjab) [India], Oct 18 (ANI): The air quality in Delhi remains in the poor category, owing to constant stubble burning in the neighbouring states of Punjab and Haryana. New Delhi [India], Aug 23 (ANI): Veteran journalist Kuldeep Nayyar passed away on Thursday at a hospital in Delhi. His cremation will take place at Lodhi Road crematorium at 1 pm. New Delhi [India], June 16 (ANI): Air Quality Index (AQI) reports in the national capital indicated that PM 2.5 and PM 10 particles were in the moderate and severe categories respectively on Saturday. New Delhi [India], Dec 30 (ANI): The cold wave continues to intensify in the national capital, with a blanket of fog engulfing the region, leading to disruption of normal life. New Delhi [India], Dec 27 (ANI): Normal life continues to be disrupted as a thick layer of fog has engulfed the national capital and the nearby vicinity on Wednesday morning. New Delhi [India], Dec 7 (ANI): The air quality in Delhi-NCR that had plummeted to the dangerous "severe" category, improved slightly on Thursday, but it still remained "very poor". New Delhi [India], Dec 5 (ANI): The air quality in the Delhi-NCR has deteriorated in the last two days. New Delhi [India], November 8 (ANI): The Central Pollution Control Board (CPCB) on Wednesday said that the air quality of Delhi's Lodhi Road area has hit 'severe' levels, showing prominent pollutants PM 10 and PM 2.5 above normal.